TechGig Code Gladiators 2018 congratulates India's mightiest coders; discussions stick to IOT & AI. So on 9th June 2018, Mumbai witnessed a global phenomenon in the form of a programming contest formerly known as TechGig Code Gladiators. 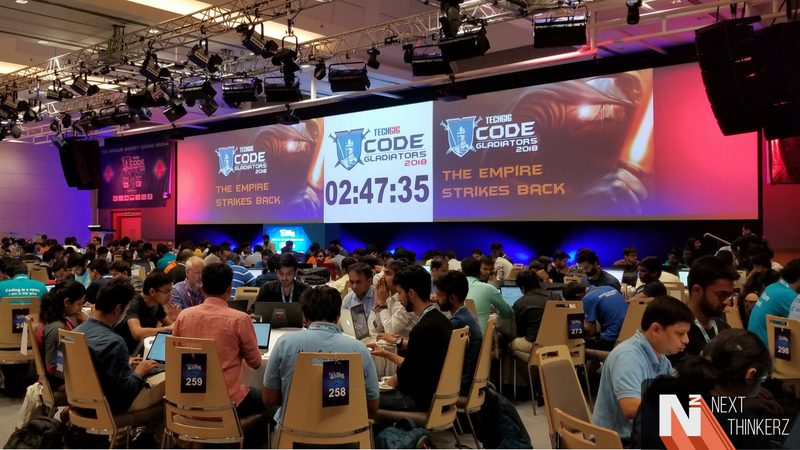 This year's event was the world's most significant coding event to be ever held in the country, and that to one of it's kind. Therefore TechGig Code Gladiators 2018 made headlines all over the world as the event concluded to felicitate the winners in the respective categories. 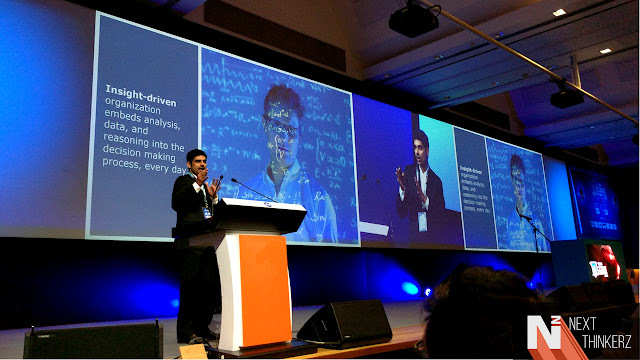 India's tech community has been excited to witness the result of this competition ever since it's announcement back in February 2018 due to a considerable number of participants from across the country. 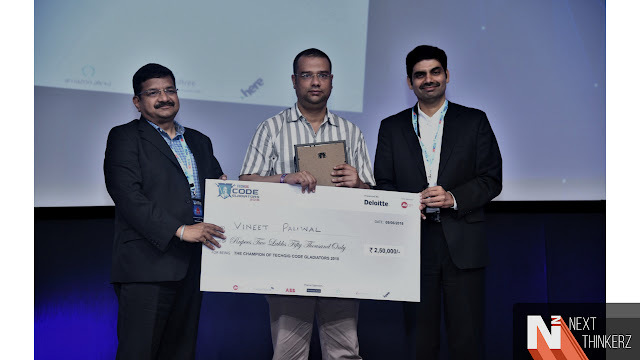 Therefore 9th June 2018 marked the day; Winners got crowned at the TechGig Code Gladiators 2018 Awards Ceremony which was held JioTalks Auditorium at Reliance Corporate Park, Navi Mumbai. Not to be forgotten that this competition was a 110-day long journey for the participants who have made it to the top. Therefore to congratulate all the participants and winners, the ceremony hosted top global leaders from the technology forefront; so that they could share their experiences among the youth. So let's first understand, what is TechGig? So Techgig is necessarily a big technology platform which exposes IT Professionals to latest industry trends, facts, information and lets them showcase it to the world in a much more creative manner. Techgig, in a way, helps creators by providing them a platform to connect with like-minded individuals which could potentially help them out in getting their dream jobs & understanding cutting-edge technologies, insights from the current trends in the IT industry. Just like every other year since it's inception, Techgig Code Gladiators has been making records to bring in a massive number of participants consistently every year. As a result of which last year, they managed to grab a spot in the Guinness Book of World Records. The year 2017 marks their victory in Guinness Book of World Records as the "TechGig Code Gladiators 2017" event was the world's largest programming event in the history. They managed to beat China's Baidu Online Network Technology event record by an 81,641 staggering unique entries. Baidu's Online Network Technology received just 30,634 entries. This year marks a step even further ahead as the participation count this year was even more significant than the earlier. 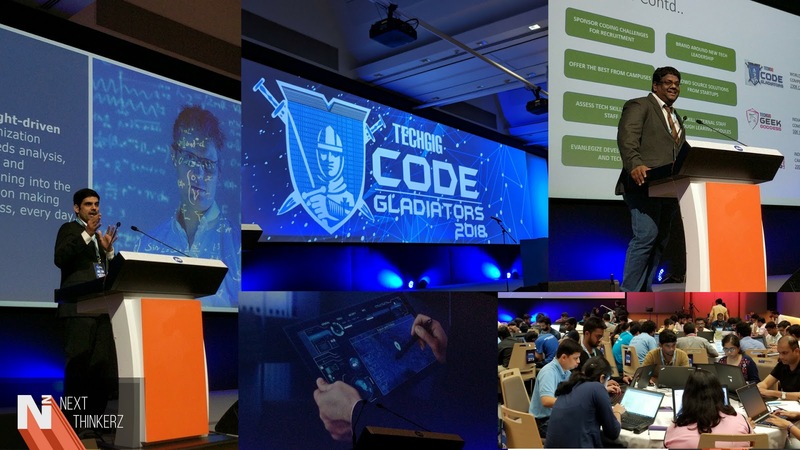 The 2018 edition of the TechGig Code Gladiators event had been focused on new themes such as AI, IOT, Amazon Alexa SKills, Blockchain & Cloud computing. Best three teams got crowned as the winners in respective categories from the above themes. Third runners-up: Vikram Singh Panwar. Fourth runners-up: Aneesh D H.
Fun Fact, did you know that about 2,28,880 coders participated this year out of which merely 15,000 were selected for the semi-finals, while only 300 out of which made it to the finals?. Regarding the records, this year received by far the most substantial number of participants the contest has ever got. The participants included undergrad students, IT professionals and even mothers who were proficient at coding. It proves that Indian community is extremely passionate about programming and exploring new opportunities all the time. Mr. Ramathreya Krishnamurthi, Business Head of TechGig & TimesJobs commenced the event with a welcome speech. 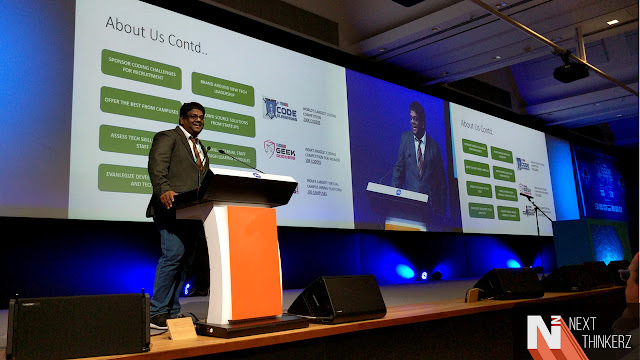 To get a detailed glimpse of the event visit the TechGig website, whereas you can even find the video below to get a small glimpse of the entire show. Disclaimer: This is a sponsored post. However views and opinions are our own.